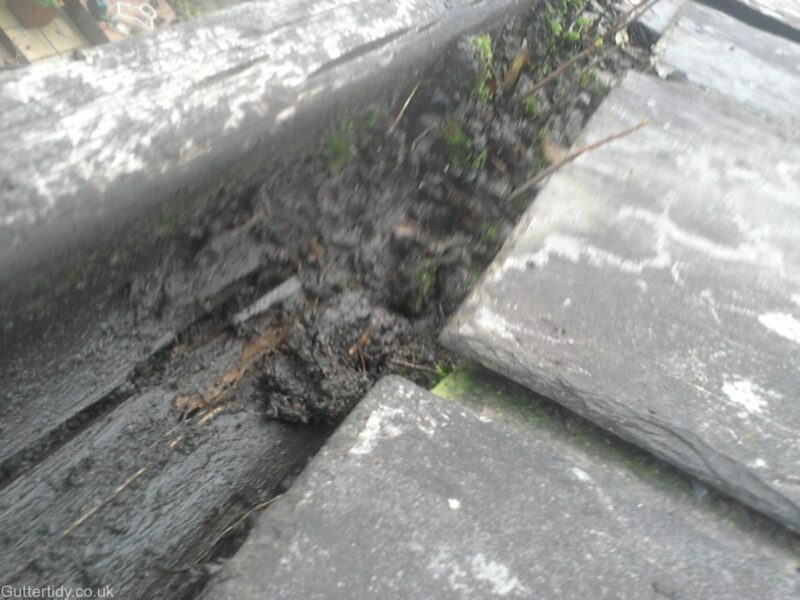 Clearing wooden guttering can be tricky for two main reasons. 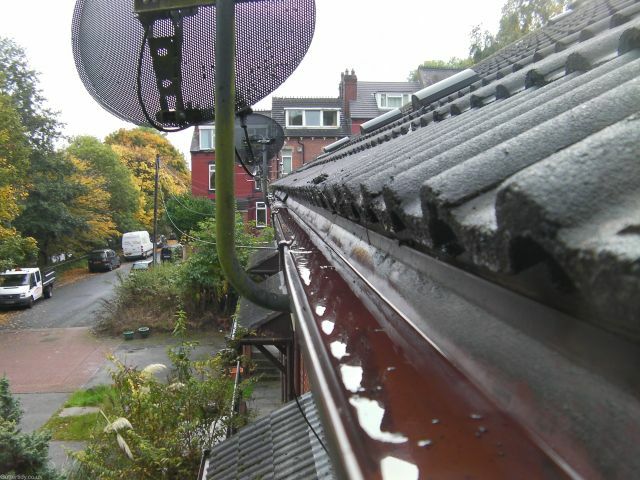 Nearly all the wooden guttering jobs we have cleared have needed manual attention. 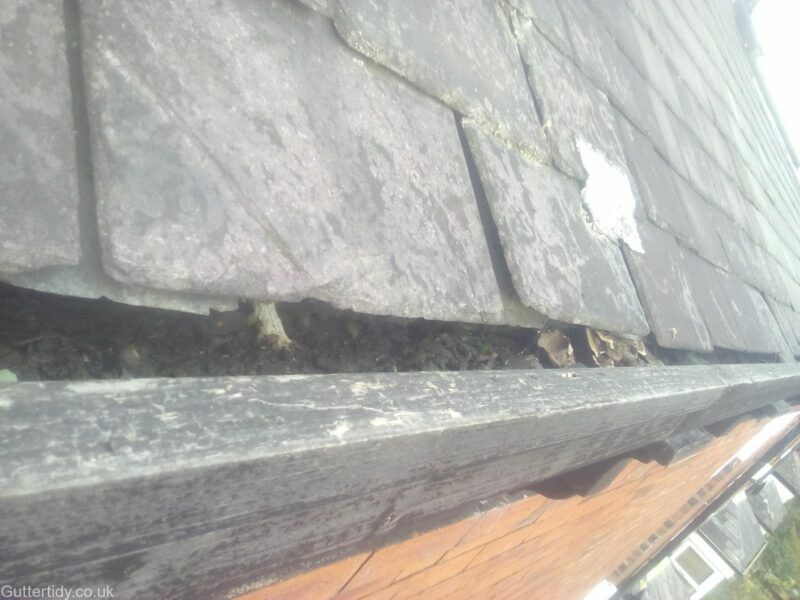 They are usually high terrace, old, have tiles slipped down into them or tiles hanging over making it difficult to clear with the gutter vac. 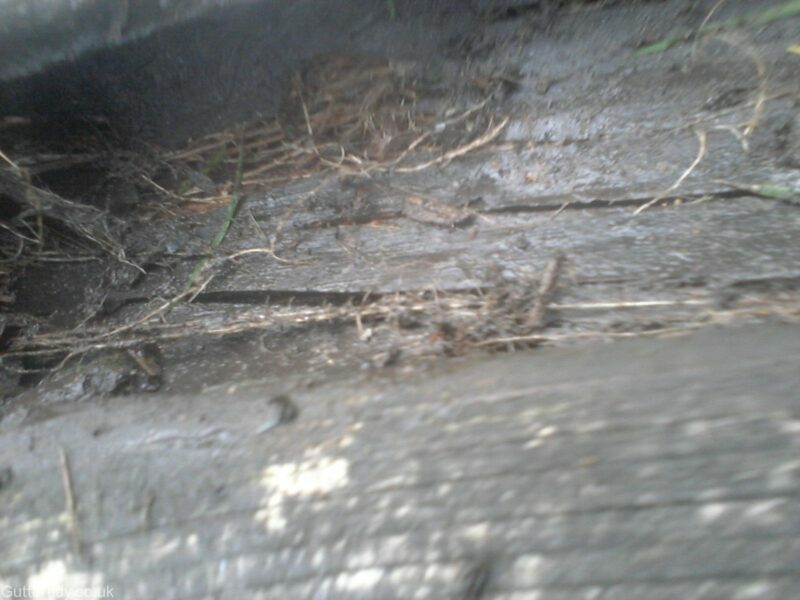 Finally and MOST importantly they can be rotten and debris can have its roots firmly embedded. 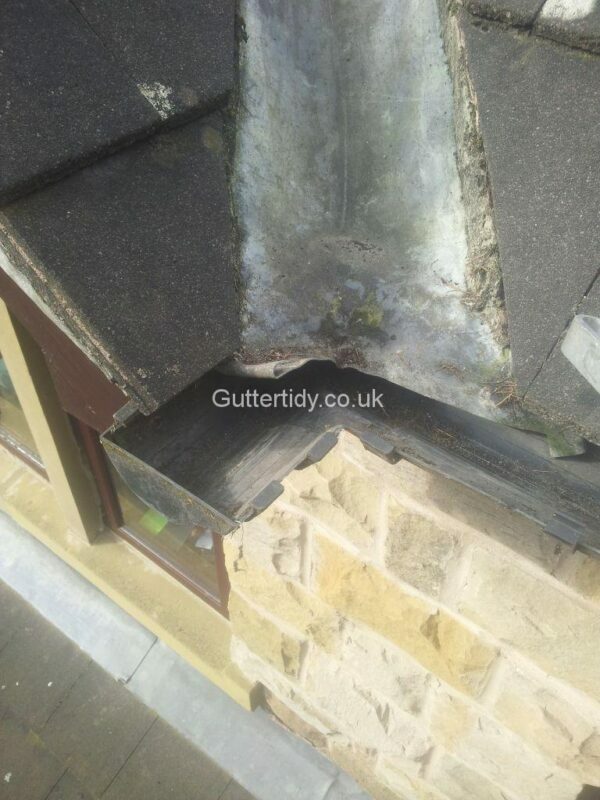 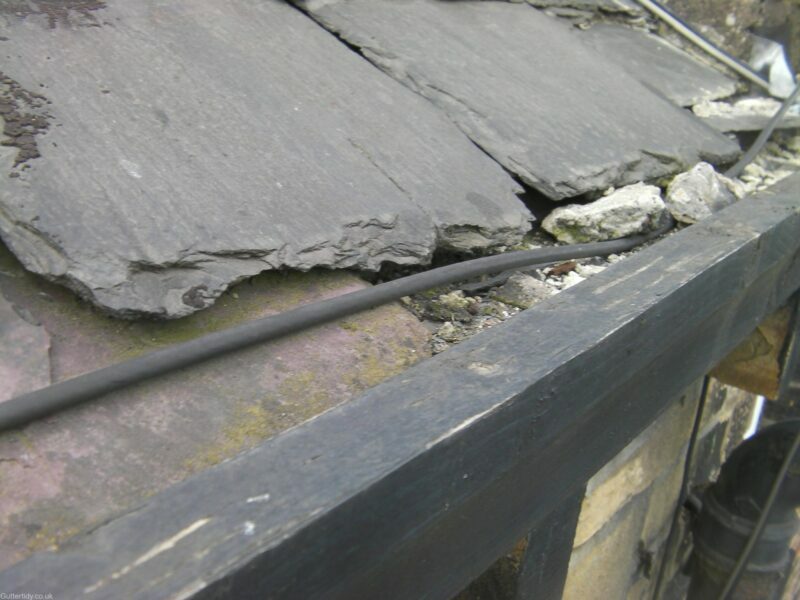 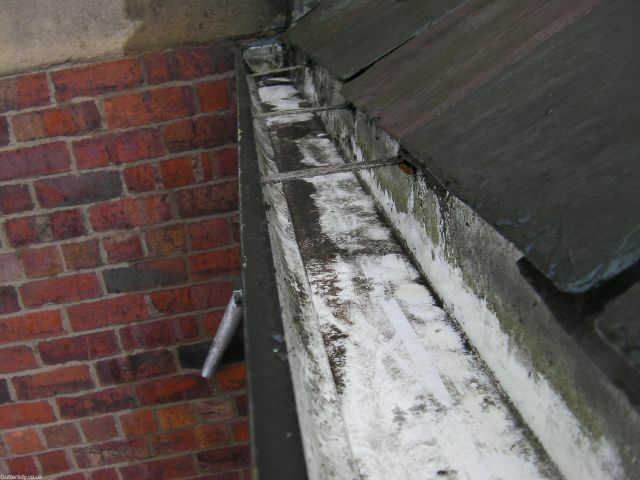 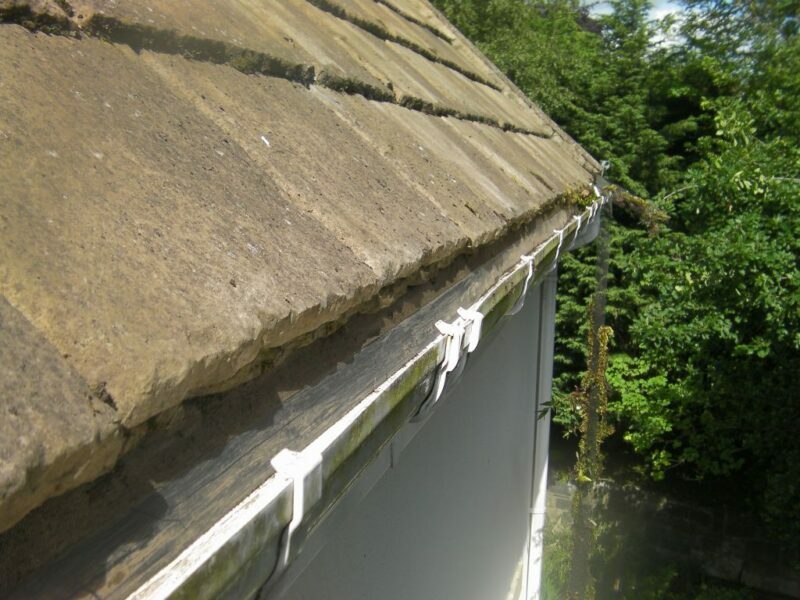 Our quotes for clearing wooden guttering will reflect this and there will always be an inspection first. 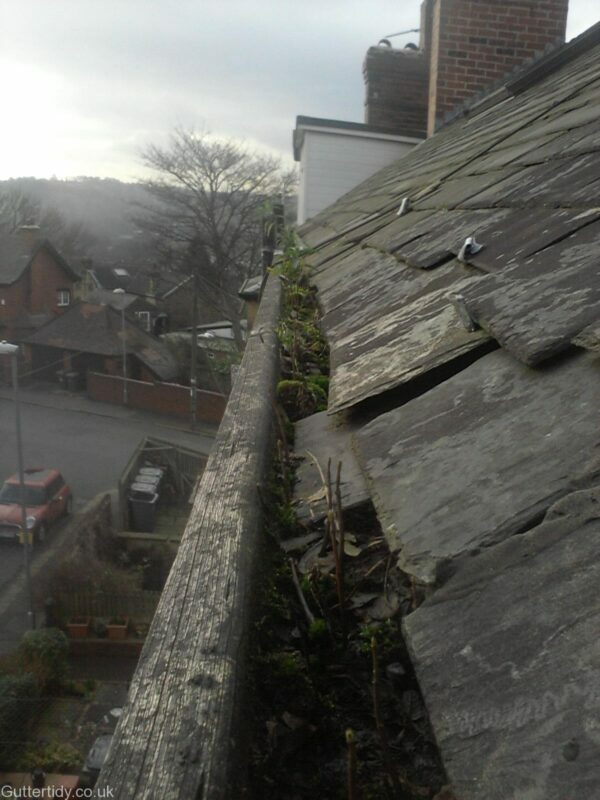 Not all wooden gutters are like this but there are enough to warrant writing about. 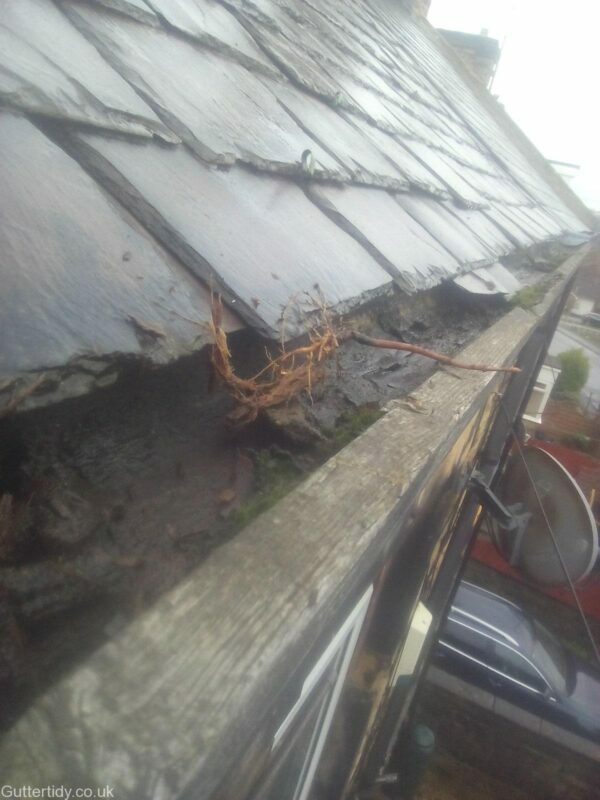 Damaged caused by roots growing in wooden guttering. 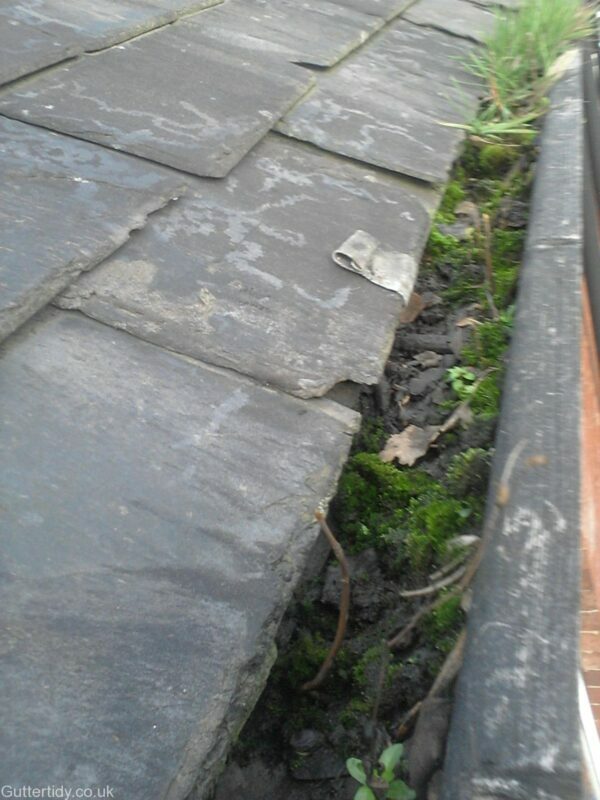 Tiles and mortar in way. 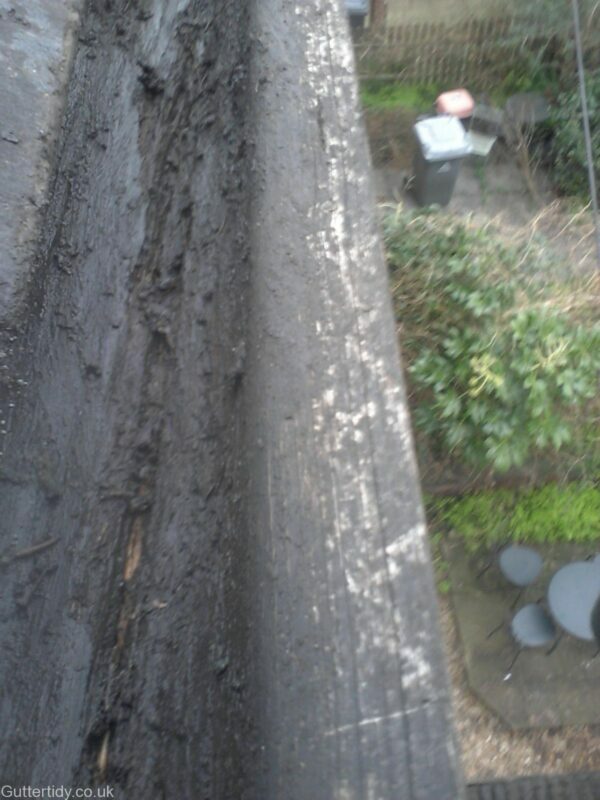 No way a vacuum will clear that. 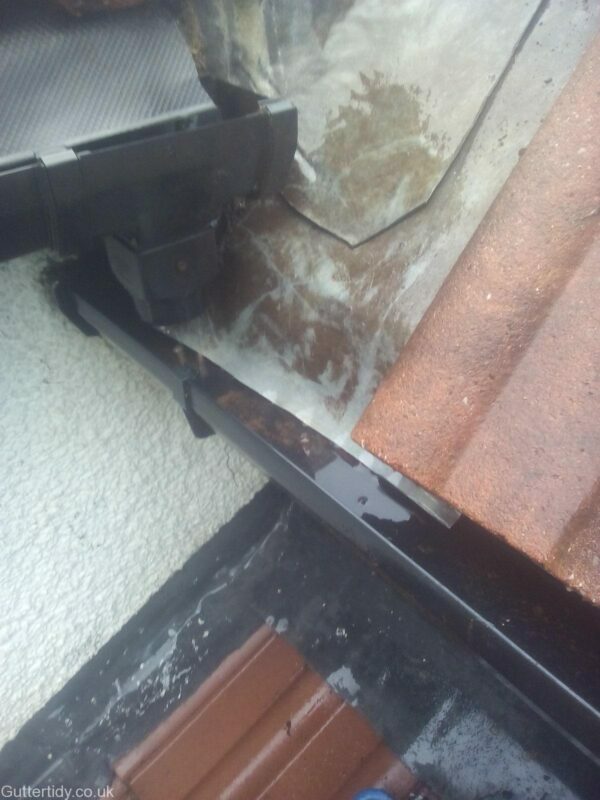 Tile slipped and in way. 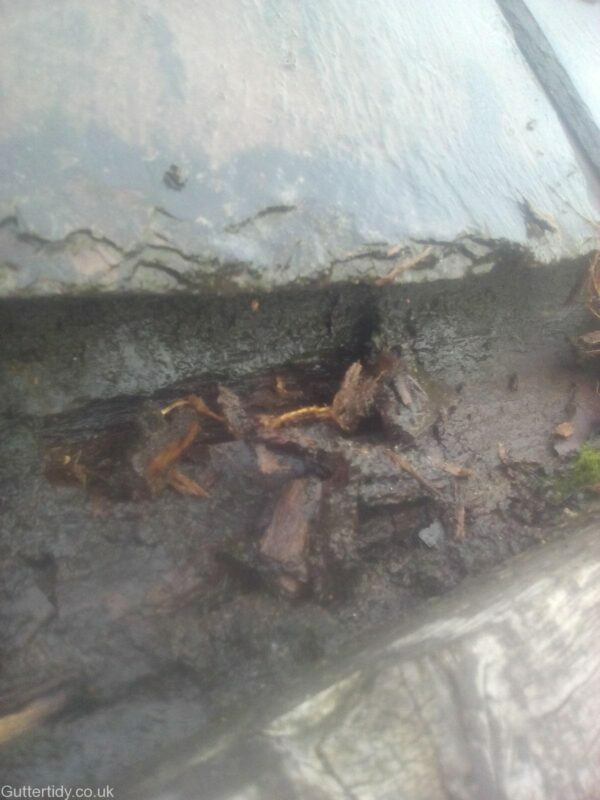 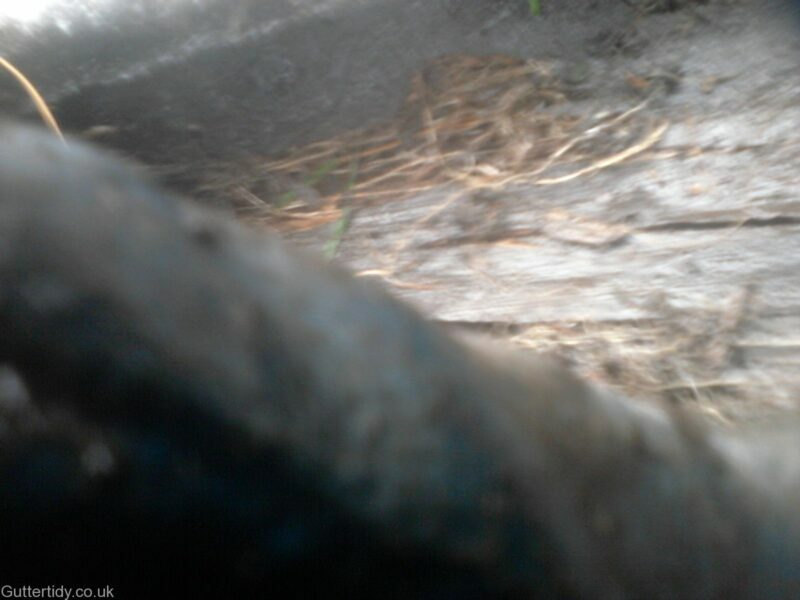 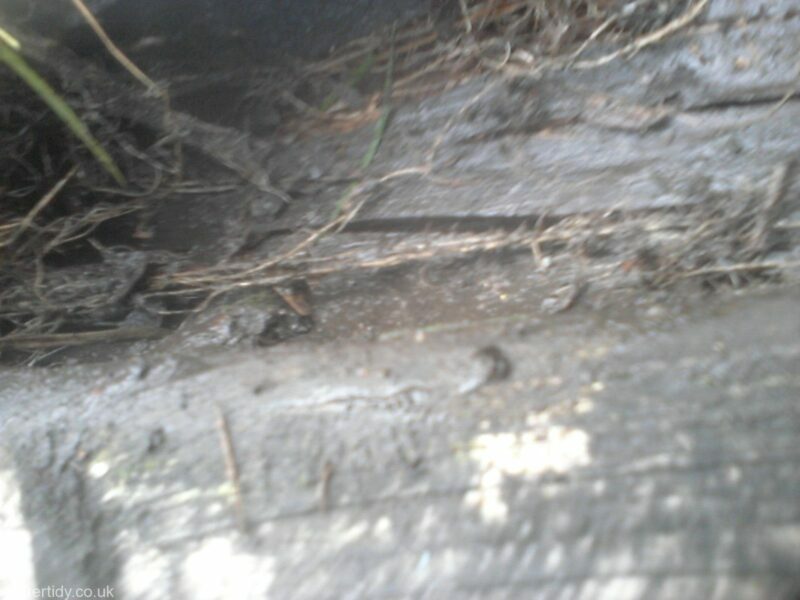 Deeply embedded root system in wooden guttering. 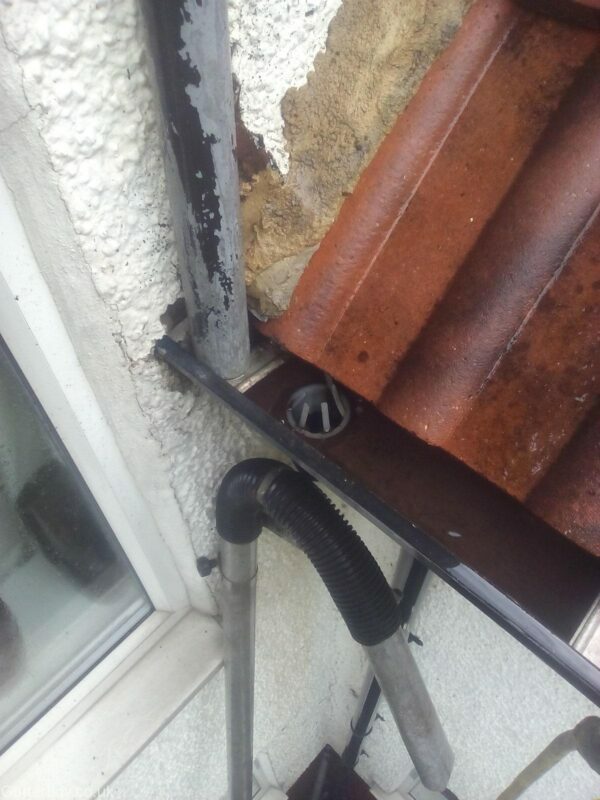 Hole left in wooden guttering. 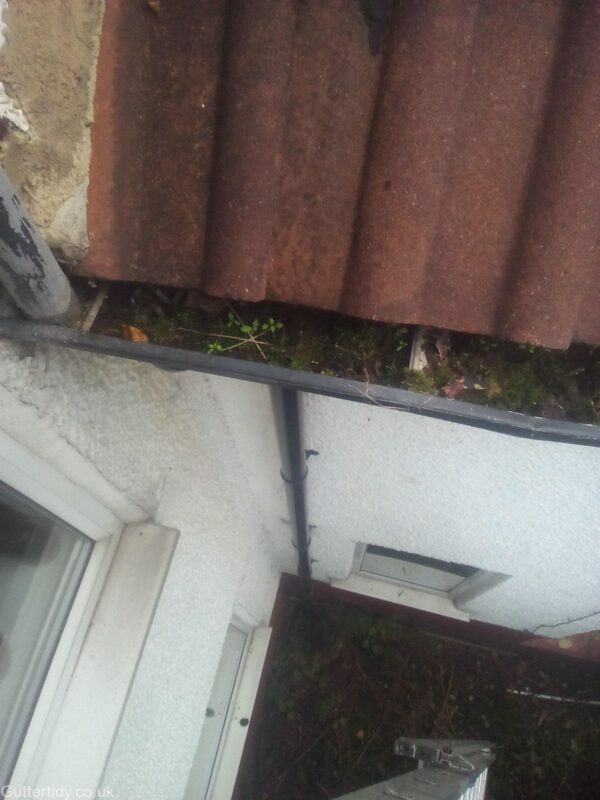 After removing weeds from gutter you are left with hole. 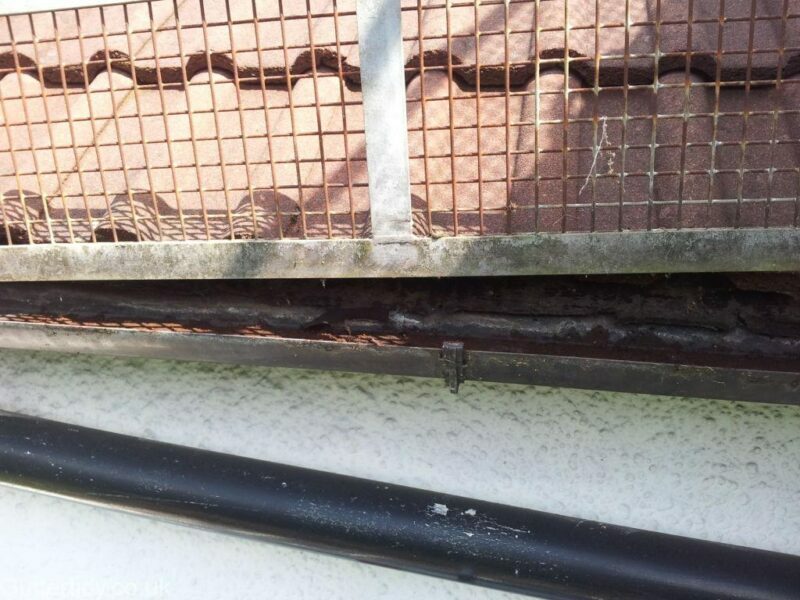 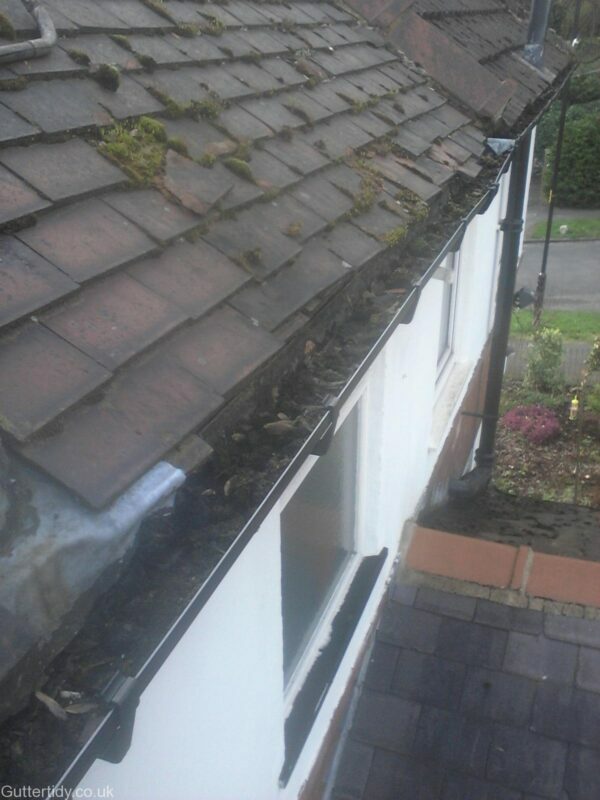 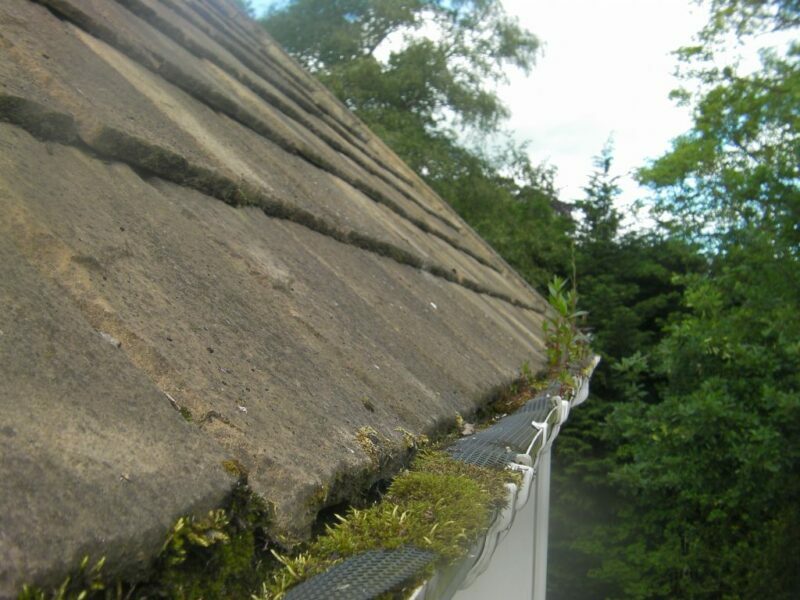 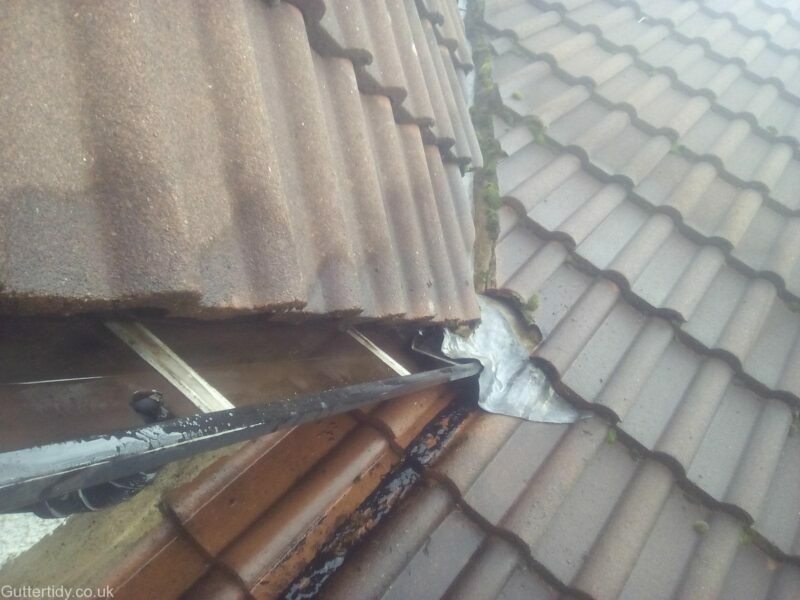 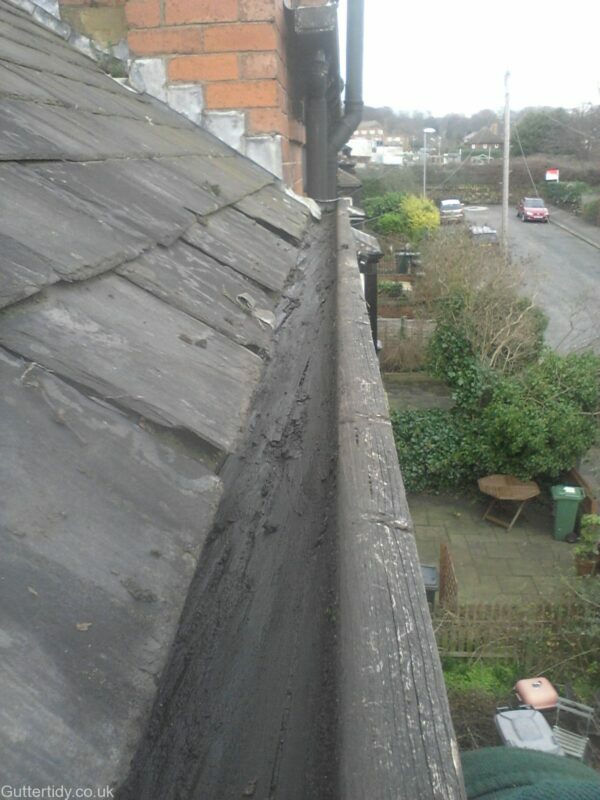 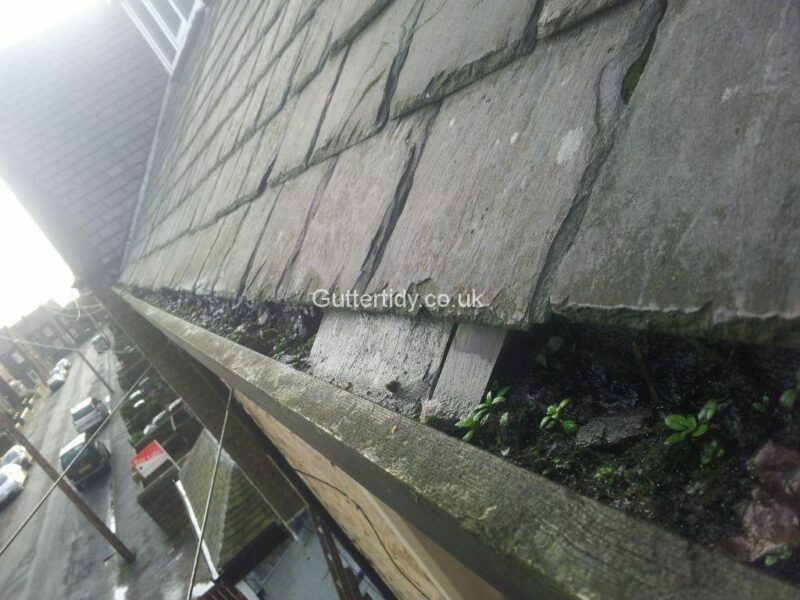 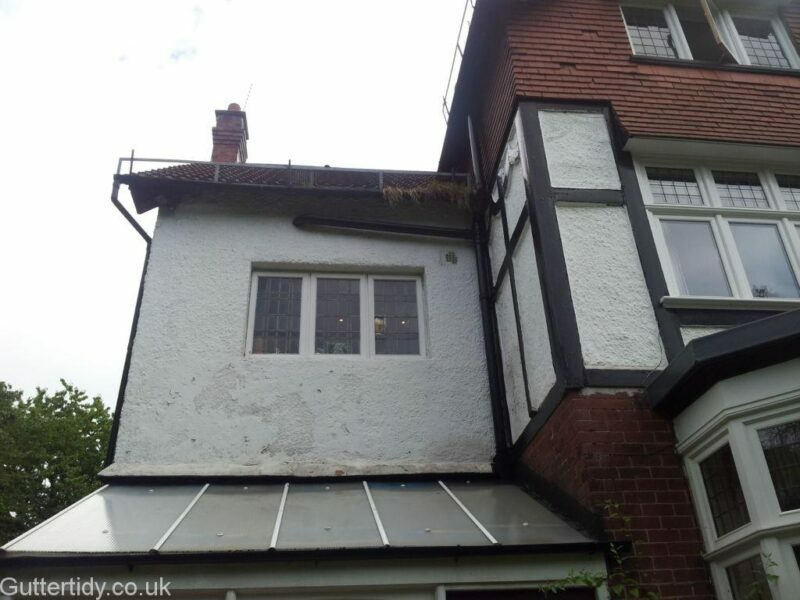 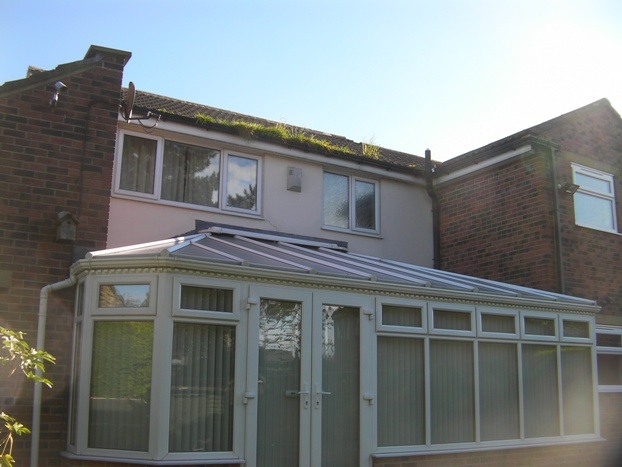 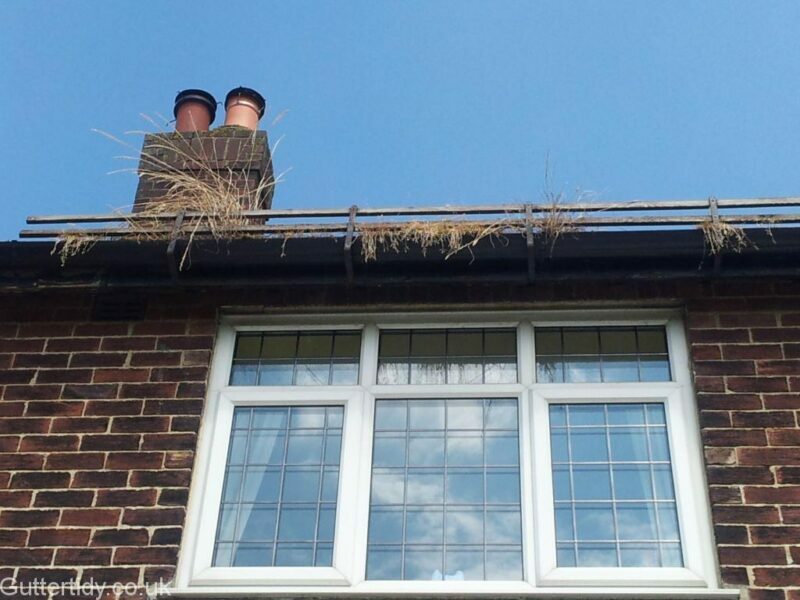 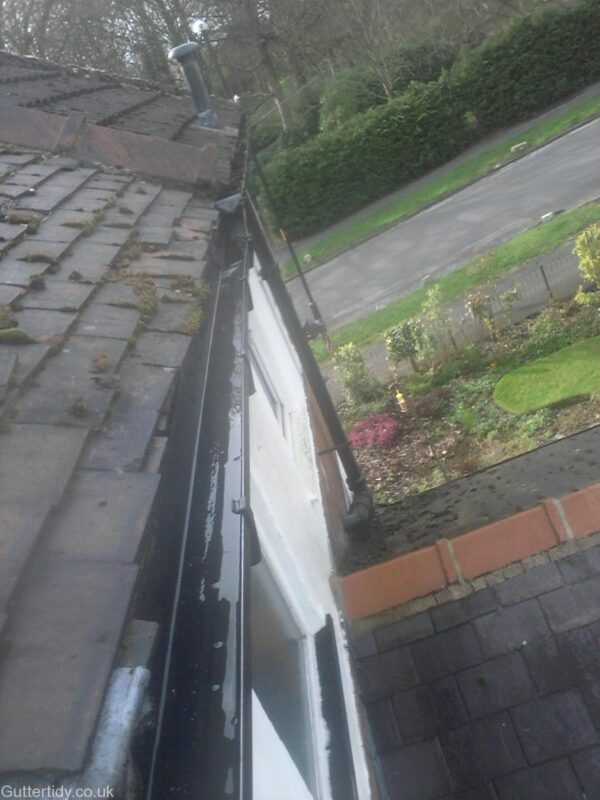 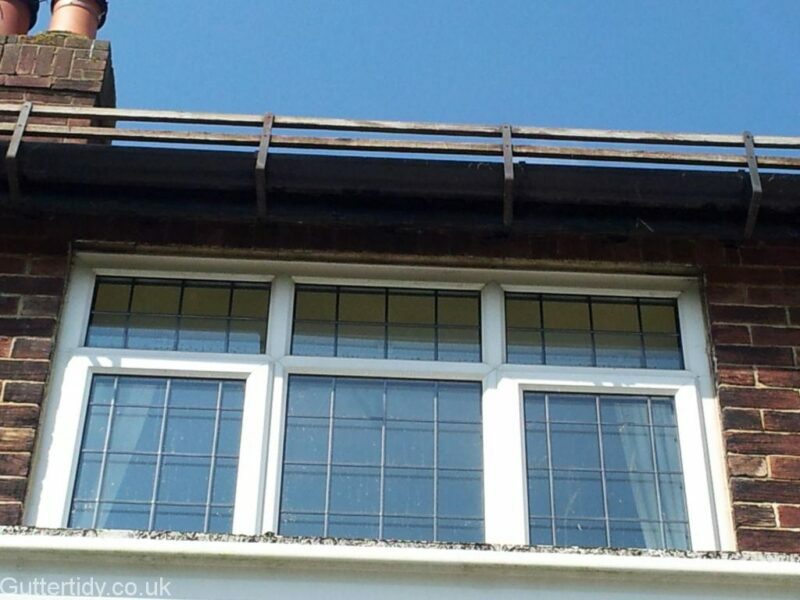 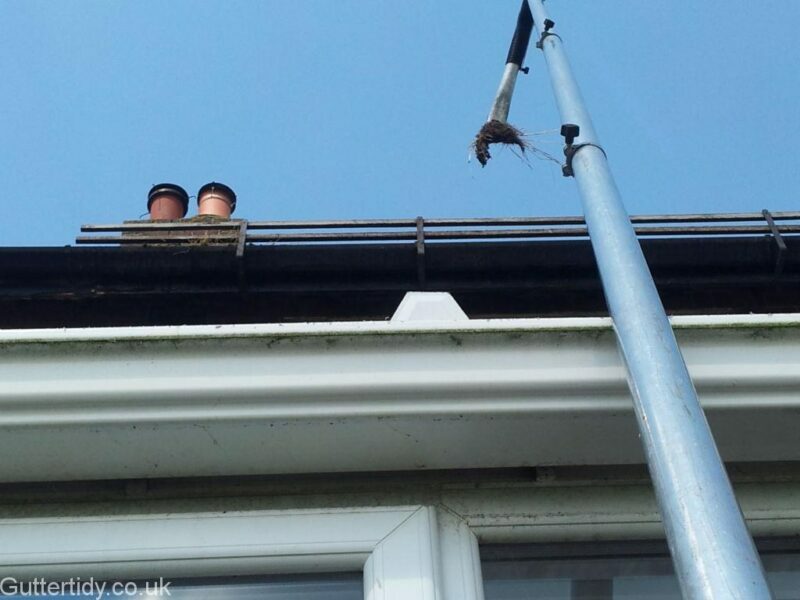 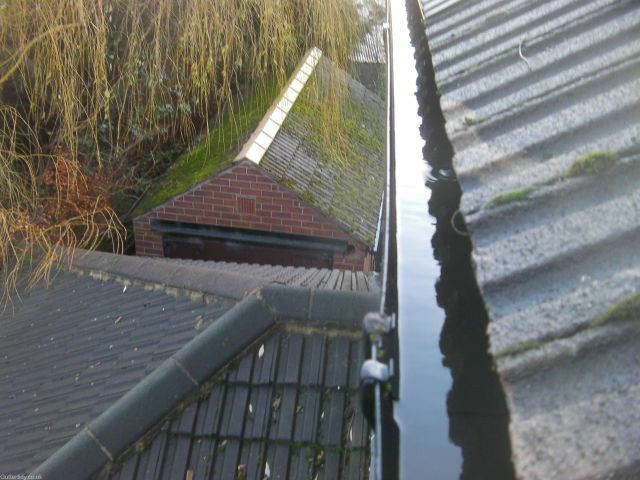 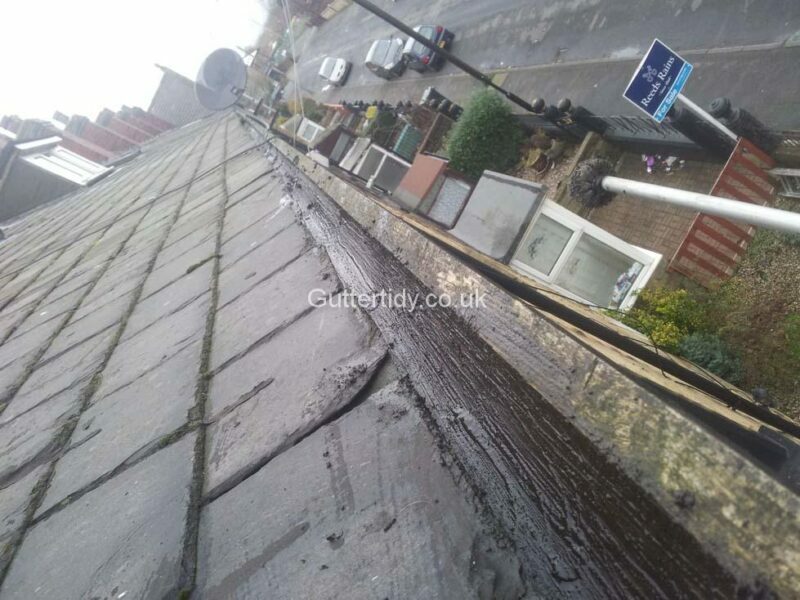 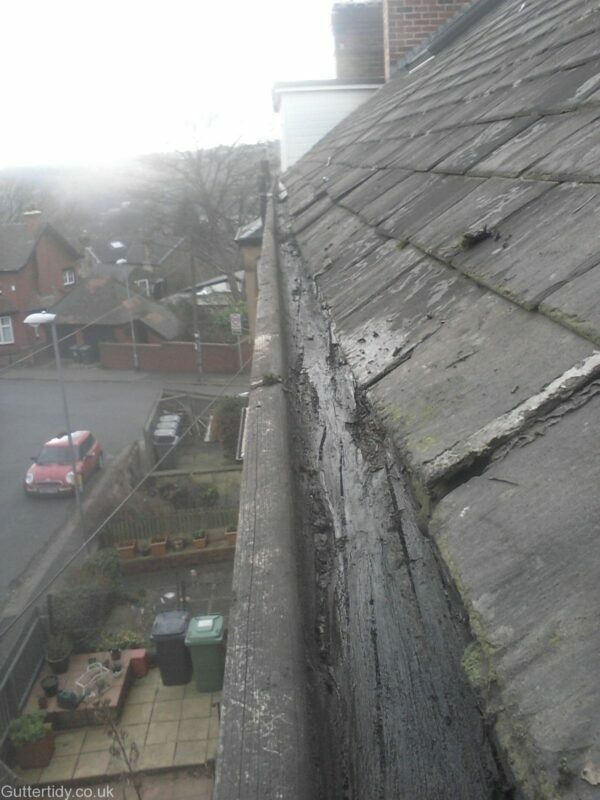 As you can see from some of the before and after photos it can be tricky to judge what is happening with wooden gutters. 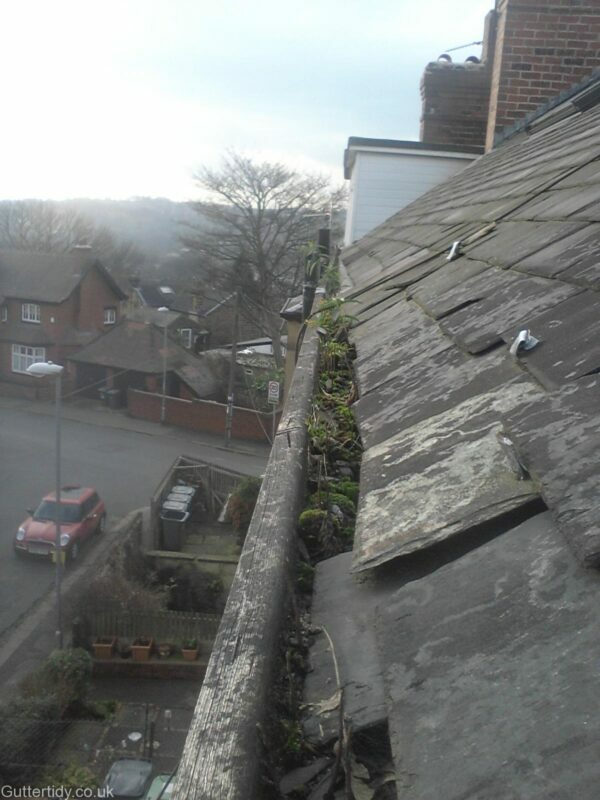 Our quotes are free because it does not take long to stick the camera up and have a look. 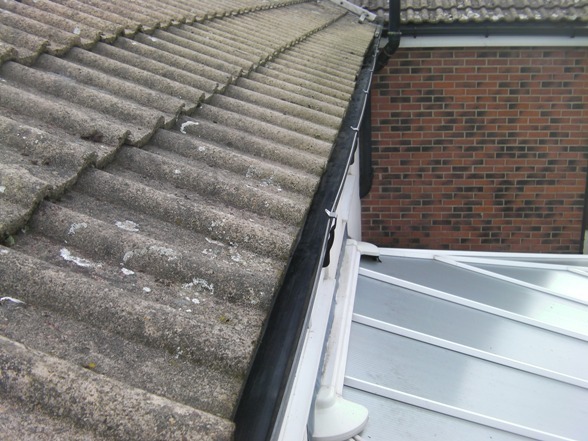 However, you can not always identify how bad they are until you are up the ladder and clearing. 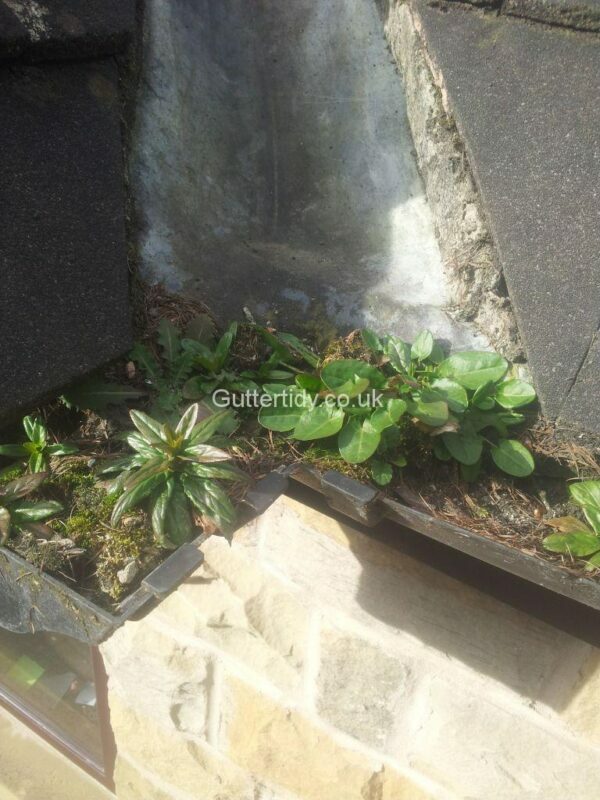 And all the ones in our pictures could not be cleared out with a guttervac and required the weeds, tiles and growth to be moved or cleared manually. 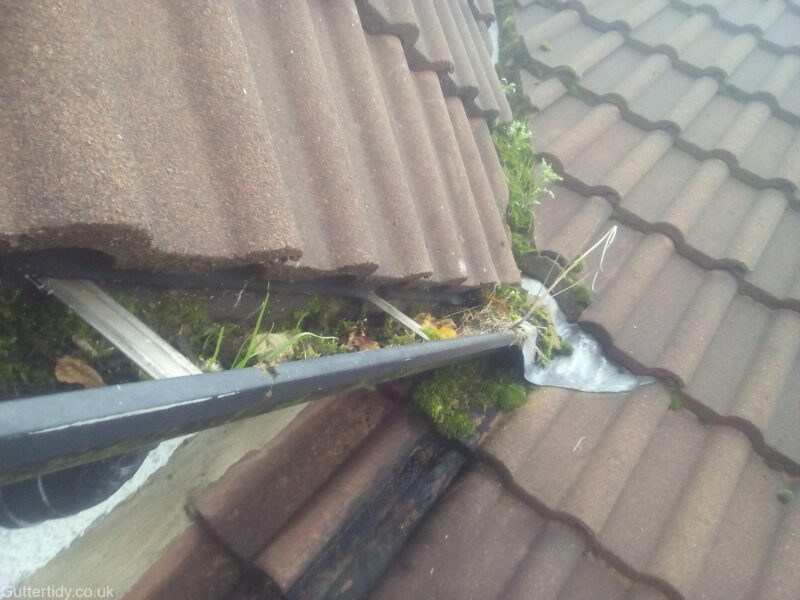 As a general side note for anyone researching gutter clearing, we feel that any firm that just uses’s a guttervac solely for clearing guttering might not be able to do the job properly. 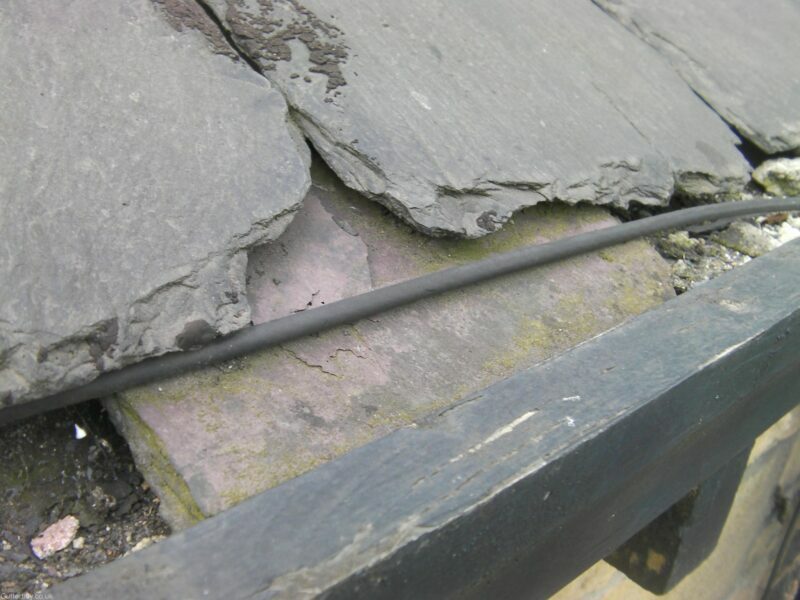 Don’t get us wrong these are great bits of kit but have their limitations on jobs like these. 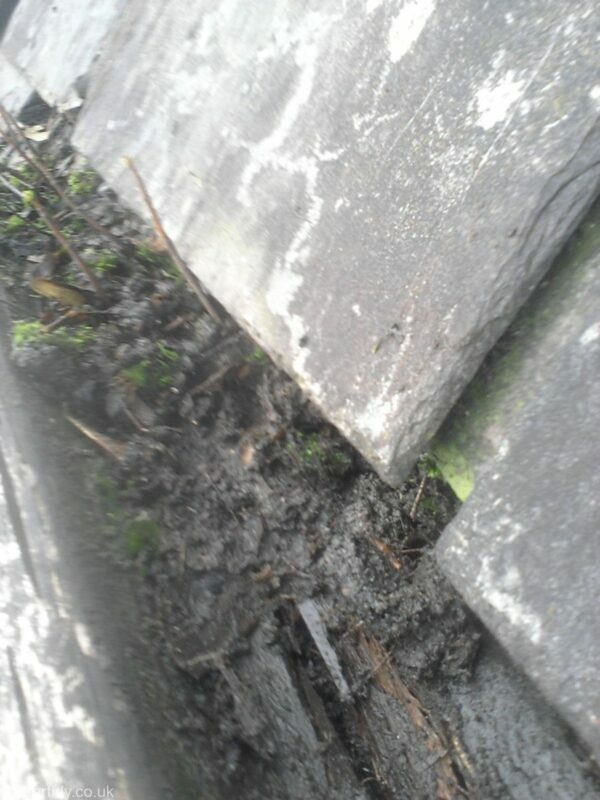 Did this inspection recently and even when I was onsite I did not notice what I saw until compiling my quote. 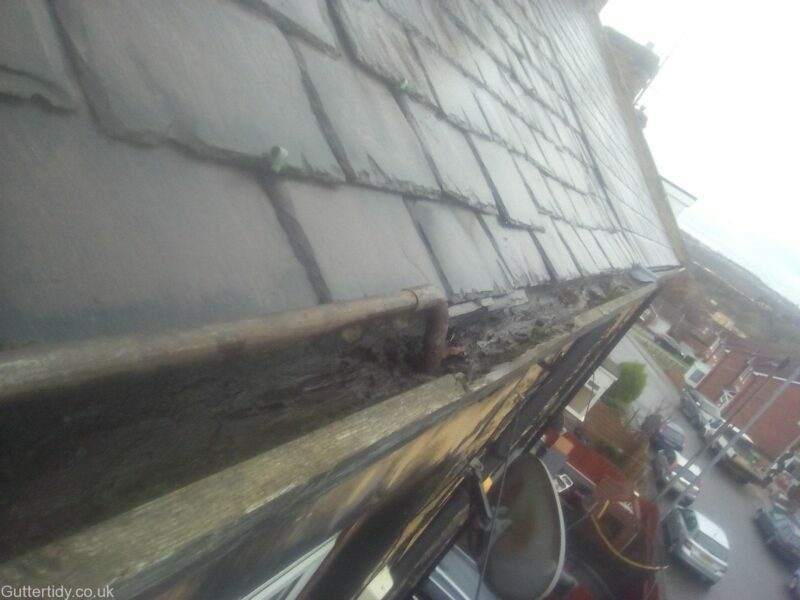 Once you get to about 20 second mark you can see that the wooden guttering has rotted completely away and you can see the neighbours roof.